The incident occurred in the last over of the match when Dhoni, having been dismissed a couple of balls earlier, entered the field of play and argued with umpires Ulhas Gandhe and Bruce Oxenford a contentious no-ball call. 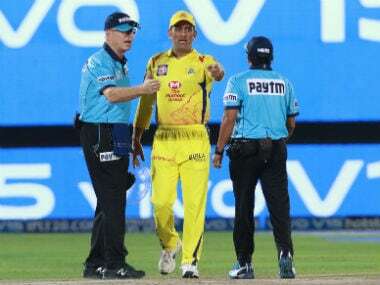 Chennai Super Kings (CSK) skipper MS Dhoni has been docked 50 percent of his match fees for an uncharacteristic outburst at the on-field umpires during the thrilling final over of Thursday's game against Rajasthan Royals (RR) in Jaipur. 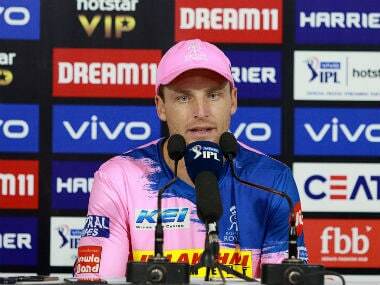 The former India captain admitted to the Level 2 offence under Article 2.20 of the IPL's Code of Conduct that deals with "conduct that is contrary to the spirit of the game" and "is intended to cover all types of conduct that is contrary to the spirit of the game and which is not specifically and adequately covered by the specific offences set out elsewhere" in the IPL's Code of Conduct. 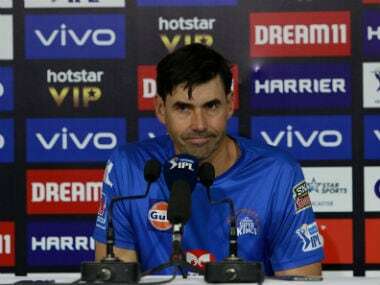 The over started with CSK needing 18 to win. Ravindra Jadeja started the over by hitting Ben Stokes for a six, but the England pacer dismissed Dhoni two balls later to leave CSK needing eight runs from three balls. Santner was greeted with a high full toss that umpire Gandhe ruled as a no-ball for height. 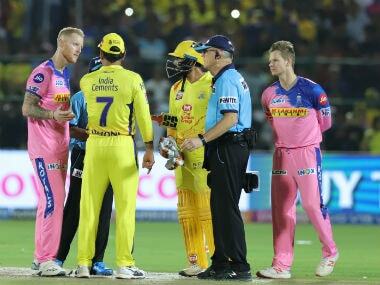 Gandhe's decision though was, unusually, overruled by square-led umpire Oxenford prompting Dhoni to storm on to the field and enter into a heated argument with the umpires. The delivery stood as a legal one, but Stokes went on to concede two runs and a wide on next to balls before Santner sealed the dramatic win with a last-ball six.